Let us not forget that the heat can last through October in the US, depending on the year and the part of the country you are in. And this year the heat has been horrible. Please do not leave your pets or children in the car unattended for any reason… for any length of time, even minutes. Temperatures in the car, even with the windows cracked can reach high enough levels to cause brain damage and death very quickly! And if you see that a pet, a child or elderly person is left unattended in a vehicle or a truck bed, please call the police, animal control, the fire department or other emergency services. Immediately and break the window if help does not come within minutes or you perceive danger for the victim. Also offer water while you wait for help if possible. Temperatures Are Rising: Be a Dog Defender: Help Save Animals This Summer! Cool Ideas for Hot Dogs - Please be proactive and vocal… you could be saving a life and definitely saving animals of a lot of suffering!! Call the ASPCA, Humane Society, etc. for ‘Pets in Hot Cars flyers’ (like the one above) to keep in your glovebox to give out when appropriate, or make and design one yourself. 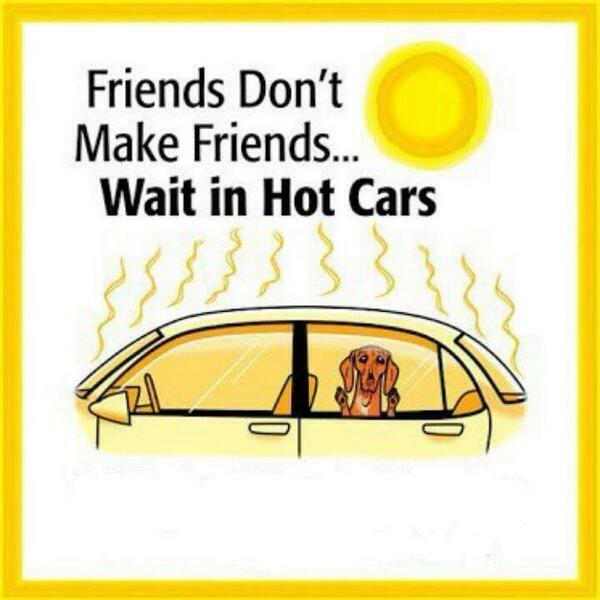 And please distribute them in your neighborhood to help educate people about the danger of leaving pets in hot cars. Please step up for abused and neglected pets and animals. Help them and be their voice. Call the authorities if you suspect a problem. It is always better to err on the pet’s or animal’s (or child’s) side! And always call animal services or the police if you see a pet locked in a car and/or out in a yard where it has no access to shade and water! More animals die from ignorant, neglectful and cruel owners than from diseases!! After the largest increase in reports and complaints about EPA approved flea and tick remedies in 2008 the EPA is finally launching a second look. The complaint and warning below was posted in July 2002… now 7-years later Bio Spot is back on the top of the list of complaints filed with the EPA. Why did it take them 7-years to follow up?? Hamish, below, did survive but there have been cases of death from the use of these type products. There was a women on NBC news last night that spoke about her cat dying after she used Bio Spot Flea Shampoo on her. Six months ago, my family adopted a one and a half year old Dalmatian, named Hamish. He had been in a high kill shelter in Connecticut, and was rescued just one day before he was scheduled to be destroyed. To protect him from fleas and ticks, we chose Frontline – a liquid that is applied to the dog’s back. It gave us peace of mind knowing that he had this protection, but it had to be purchased from a veterinarian and was quite expensive. One day while shopping, I came across an over-the-counter product, called Bio Spot Flea & Tick Control (by Farnam Pet Products). It looked similar to the Frontline product, but it was much cheaper, so I decided to try it. The Bio Spot seemed to work just as well as Frontline, so I used it again six weeks later. An hour after applying the Bio Spot, I found Hamish thrashing about on the ground. His body was completely stiff. His head was raised in the air, and his jaws were opened wide. A thick foamy saliva was spewing from his mouth. Horrified, I tried to determine if something was stuck in his throat. His windpipe was clear, but he was not breathing. His eyes began to roll back in his head. He was dying and I did not know what to do to save him! We made a desperate call to our veterinarian. VOMITING, DIARRHEA, OR SEIZURES), CONSULT A VETERINARIAN IMMEDIATELY. 3. REPORT IT TO THE MANUFACTURER OF THE PRODUCT AND THE U.S. EPA. After a few minutes, Hamish slowly began to recover. We had just witnessed something we had never seen before – a grand mal (severe) seizure. Our veterinarian said that a blood test might help to find the cause, and mentioned the possibility of epilepsy. By the afternoon, Hamish looked much better, but that night he endured three more grand mal seizures. not epilepsy, and wondered if the seizures were caused by the Bio Spot. It seemed unlikely that Bio Spot could have caused the seizures because we had used it (same batch) just six weeks earlier with no adverse effects. Also, the packaging did not list seizures as a possible adverse reaction (it listed only lethargy, itchiness, redness, rash, hair discoloration, or hair loss). could not rule out Bio Spot as the cause of the seizures. Hamish has not had any seizures since the Bio Spot was thoroughly washed off three weeks ago, and appears to be in good health. However, we worry about irrepairable damage that may have been done to his neurological system, and wonder if short-term exposure to the chemicals in BioSpot will cause any long-term health problems. According to Farnam’s website, the ingredients in Bio Spot “move around your dog’s coat by several processes including diffusion and capillary action, and transfer from hair to hair as the pet moves.” That may lead you to believe that it remains on your dog’s coat, therefore it’s safe for your dog. The truth is these harmful chemicals are absorbed through the skin and enter the bloodstream. That is also how transdermal patches work – they use the skin as a way to enter the body. The main active ingredient in Bio Spot is a pesticide known as permethrin (it is used in more than 18 similar products, including Bayer’s K9 Advantix and Summit VetPharm’s Vectra 3D). It kills insects by paralyzing their nervous system (that is also how nerve gas works). However, it cannot distinguish between an insect’s nervous system, a dog’s nervous system, or a human’s nervous system. That is why it is important to wash your hands thoroughly with soap and water after handling. James TerBush is a designer of educational games and lives in Pennsylvania. the pets themselves. Based on the very limited data available, it appears that hundreds and probably thousands of pets have been injured or killed through exposure to pet products containing pesticides. to a cat. Toxicological studies have linked this pesticide to serious acute and chronic health effects. The EPA has classified it as a possible human carcinogen because it increases the frequency of lung and liver tumors in laboratory animals. It suppresses the immune system. Permethrin is also suspected to have played an important role in the development of illnesses known as the Gulf War Syndrome. In a recently published journal entitled, Experimental Neurology, researchers at Duke University Medical Center found that frequent and prolonged use of permethrin on adult rats lead to cell death in their brains. In another recent study, researchers at Virginia Tech found that low-level exposure to permethrin caused changes in the brain that could lead to Parkinson’s Disease. effects of these chemicals are not required to be tested for safety. 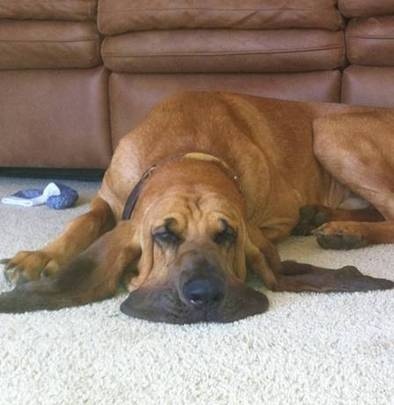 Is it true that nearly all dogs tolerate Bio Spot well? Perhaps, but the risk of short-term exposure includes severe adverse reactions, and the risk of long-term exposure is unknown.